The giveaway is open to all countries, will run through the week, and end on Sunday, April 22 at 6:00 pm PST. One comment per person please. Please make sure I am able to get in contact with you (leave your email address in the comment or make sure it is listed somewhere on your blog). Butterick B5152. Sizes 16, 18, 20, 22, 24. For some reason I think this is so Joan Crawford! Butterick B5281. Sizes 14, 16, 18, 20, and 22. Butterick B5214. Sizes 8, 10, 12, and 14. OOOOOOHHHHH I would have to pick Butterick B5214! SO cute! As for a book to read....I have to say, I joined the masses and am reading "Fifty Shades of Gray". Oh. My. Land. I cannot read it during lunch at work anymore :) That's some racy stuff! Thanks for the giveaway, and for the opportunity to spread some book-love ;) I would love a chance to get my hands on B5214, but all of the patterns are gorgeous! 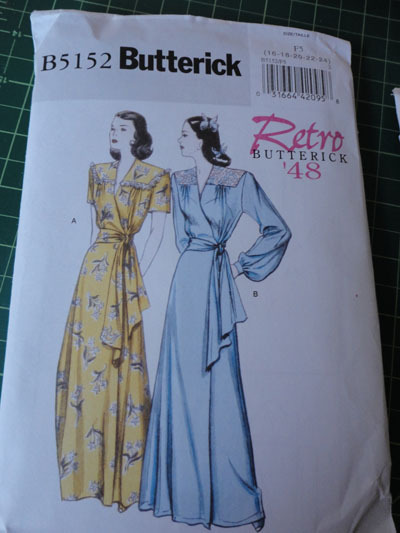 I would love Butterick 5214! I grew up in Paso Robles and lived in SLO when I graduated high school. I subscribed to your blog before I knew you lived in Grover and everytime you posted a picture, I would tell my husband, "Doesn't that remind you of the Central Coast??" (we met at an answering service in SLO. Ooh, I like 5214! And most recent read that I love has to be A Drowned Maiden's Hair. Its protagonist is a little girl, but this is definitely a grown up read. I have been looking for a pattern with elements like Butterick B5152!! I need it! All those patterns are amazing tho, thanks for the awesome giveaway. I suggest "This Side of Paradise," by F Scott Fitzgerald, if you're into his style of writing. If you are in the mood for a good romantic/historical series, I'd suggest the Mark of the Lion series by Francine Rivers. Wow! They're all amazing patterns! I think Butterick B5214 (the last one listed) is my favorite. 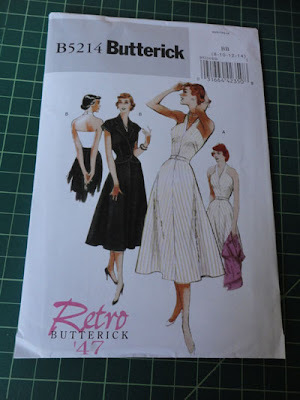 Hi - I would love to win Butterick B5281 (though the Joan Crawford one is divine...). I agree with Sarah who recommended "The Book Thief" and would add in "The Guernsey Literary and Potato Peel Pie Society" by Mary Ann Shaffer which was great too. Interestingly both about WWII, but don't let that put you off! I am all about 5281! If you haven't read The Amazing Adventures of Kavalier and Clay by Michael Chabon, you really should, sooo good! The freaking robe, Butterick B5152, is unbelievable!! I highly recommend "The Wedding Gift" by Marlen Suyapa Bodden, it's a great book, especially if you liked "The Help." 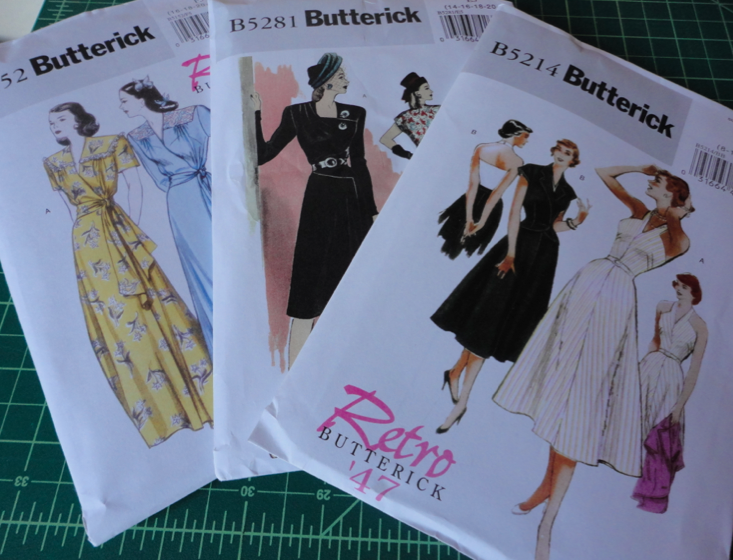 Butterick B5281 is my favourite of those 3. I'm currently reading the Harry Potter series again, then I'll read Anne McCaffrey who does the most wonderful science fantasy. I love the shoulders on Butterick B5281. Have you read "The Kite Runner"? It's one of those books that stays with you. I read it years ago and I still think about it at random time. A great read! The last pattern is to die for, I have had my eye on it for rather a long time. I agree with the kite runner, at the moment I am reading A Fine Balance by Rohinton someone so far very engaging and one to lose yourself in. Oh man, 5281 is awesome. As for book recs: I have a "good" book, a trashy book, and a sewing book partly done at the moment so I'll toss you all three. -The Recognitions, by William Gaddis, is a giant tome of postwar modernist fiction about (so far) a New England minister's son named Wyatt, his ventures in the world of Greenwich Village, and the agonies of art, truth, and human interaction; however cliche that premise may seem, it is beautifully written (honestly, I keep finding the perfect sentence about once every three pages, finding the next one, and then having to re-evaluate). -The Diana Gabaldon's Outlander series are romance novels about a woman who falls through a stone circle (like Stonehenge, only...not) in Scotland immediately after World War II and ends up in the Jacobite-Rising era, where a grand, all-consuming love bursts into flame with a tall, ruddy Highland laird. The one I'm reading right now, Drums of Autumn, is the fifth (there are seven so far, I believe) and they are still captivating and awesome. -I have been poring through Adele P. Margolis' Make Your Own Dress Patterns lately and it's great--informative, clear, encouraging in tone. 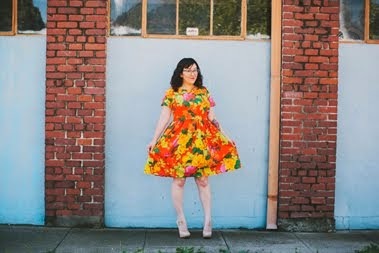 Oh pretty please enter me for Butterick B5214 - that halter dress is SOOOOOO meeeeee!!!! I'm going with 5281! It looks like a challenge and I'm up for a challenge! Oh and I recommend Foundation by Isaac Asimov! I recommend- "Before I Go To Sleep" by S.J.Watson. "Memories define us. What if lost yours every time you went to sleep." This novel is difficult to put down,once you start it.I loved this book. Then I gave it to my sister-she agreed! Oh,I love the Butterick pattern-B5152. That's so sweet of you.. My fav is B5152. I'm also a book worm and game of thrones it's a great series. I also recommend Artur Doyle Sherlock holmes.. It's free on iibooks . About me,I would love to visit Japan because their sense of respect for their elder and their futurism technology. 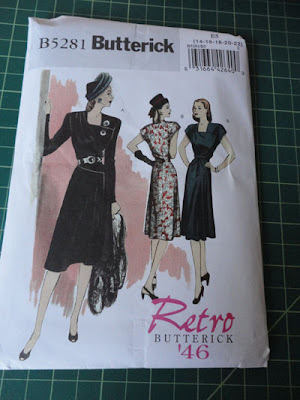 Ooh, I like Butterick B5214! Ummm... the last book I read that I enjoyed was "Memoirs of a Geisha," although I thought it was based on a true story and was disappointed to find out it was fictional! Thanks, giveaways are so fun! I'm feeling the B5214 the last book I really enjoyed reading was "Into Thin Air" by Jon Krakauer. It's a first hand account of a Mt. Everest climbing disaster in 1996. It's exciting, heartbreaking, and moving. I would love to win B5214 -- love the retro look. I would recommend you read A Discovery of Witches --- I'm not sure how to describe it--- but it's extremely well written and an enjoyable story. How about a book recommendation AND a little known fact? Little known fact: I can touch my tongue to not only the TIP but the BRIDGE of my nose. Book recommendation: I really, really loved E.L. Doctorow's Ragtime. It's set during very early 20th Century and includes a host of historical characters. It's a very sly examination of American society of the time including a look at gender inequity, burgeoning labor laws, and immigration/immigrants. It's a bit dense at the beginning, but stick with it as it's incredibly well written. B5214 - everything else would swamp my midget frame! I've just returned to sewing after many many years break (many patchwork quilts etc in the meantime) and I think I'm possessed! B5152 looks cool - I can see myself swanning around in that one! As for books, I love anything by Karen Maitland (Medieval novels with a vague dark supernatural feel). Just finished The Gallows Curse - very strange! I recommend anything by Michael Chabon - I love Kavalier and Clay and Wonder Boys. If I were to win B5281, I would love it, and hug it, and squeeze it and name it George, after I made it out of a black and white silk suiting in my stash. For book recommendations, I suggest Cane River by Lalita Tademy. I read it last year and I loved it so much, I read it again this year. I like books on topics that are often overlooked. They are so stylish, and I'm scouring the interwebs searching for work-appropriate dresses today, so B5281 or 5214 would be lovely. Have you read 'The Hare with the Amber Eyes'? It's very very interesting, and well-written family biography / cultural history... Or for fiction, I'm currently eagerly awaiting the next Kristin Cashore - 'Graceling' and 'Fire' are great. Oh I love 40's style! I'd love any of them - but forced to choose I think I'd go with 5152, the robe. Good to wear while reading The Historian (preferably with tea on a rainy day).